18-MILLION a standout on paper as well as on the hoof.He is a son the the popular Jindra Acclaim , his Dam is a tremendous Black Granite daughter and one of Whitestones best females. He is wide based , long sided with extra depth in a sound confirmation. 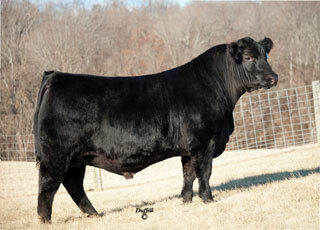 A herd bull sire prospect.